​The Flemish Land Agency is committed to developing resilient open spaces that are brimming with life. We are enhancing our countryside and open spaces to enable them to better endure urbanisation, fragmentation and climate change. We are collaborating on policy and investing in soil and water quality, biodiversity and infrastructure. We are striving for beautiful, healthy urban and rural environments that are a pleasure to live and work in, and where there is plenty of space for relaxation. We do so with uncompromising passion and expertise, and in constant collaboration with our partners. Flanders is one of the most densely populated and prosperous regions in Europe. 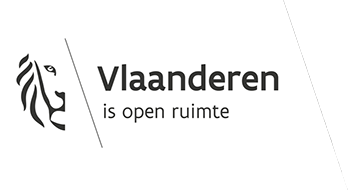 The Flemish Land Agency promotes the Flanders countryside and open spaces on many fronts. If we invest intelligently in our countryside and open spaces, they will be better able to protect us against the effects of climate change, such as flooding and droughts. Farmers will be able to produce food, the survival chances of plants and animals will increase, and space will emerge for meeting places and leisure activities. What is the Flemish Land Agency doing to enhance our open spaces and countryside? The Flemish Land Agency is actively shaping Flemish rural policy. Adopting an area-specific approach, supporting local initiatives and improving the quality of life are our key objectives in this regard. The Flemish Land Agency assures water quality by monitoring how much manure farmers use on their land and providing guidance where necessary. We do this within the framework of the manure policy, which we helped to establish. We simultaneously support and encourage farmers to structure their fields and meadows in a more natural way in order to promote biodiversity. This creates ecologically valuable landscapes and contributes to the realisation of European and Flemish nature and environmental targets. The Flemish Land Agency tackles flooding by reopening streams and allowing them to meander. Or by installing flood basins that hold water in heavy rainfall and additionally serve as water reservoirs during droughts. We work together with the farmers on combatting erosion. We encourage them to plant grass buffer-zones in exchange for compensation, for example. The Flemish Land Agency designs open space in such a way that local residents and users can all benefit from it. We connect municipalities via the construction of safe hiking and cycling trails and the installation of reception facilities. And we create links that unite landscapes, water and nature. The Flemish Land Agency buys, sells and exchanges land in order to realise complex, area-specific plans. For large infrastructure projects, we devise solutions that mitigate or compensate the impact on the environment or the owners and users concerned. What makes the Flemish Land Agency a force to be reckoned with? The Flemish Land Agency has at its disposal powerful legal means for converting complex, area-specific plans into concrete projects and achieving Flemish and European nature and environmental targets. These include subsidies for rural development, the Flemish land banks, environmental agreements, the Manure Decree, land use planning, land reparcelling, nature conservation and digital services via E-counters. We regularly consult with all stakeholders and forge coalitions that design and enhance our countryside and open spaces. We do this by engaging all stakeholders: farmers, nature associations, provinces, municipalities, regional landscapes, European and Flemish partners, citizens, local communities, ​researchers etc. The Flemish Land Agency boasts approximately 600 employees with a passion for the countryside and open space: talented project managers, landscape experts, topographers, geographers, engineers, biologists, agricultural economists, business planners, archaeologists, communication experts, inspectors, case handlers, lawyers, ICT experts, field workers and administrative staff. Together they harness their expertise to improve the quality of the countryside and open spaces in Flanders. Thus ensuring a landscape that is resilient, dynamic and brimming with life, and more than ready for the challenges of the future! For more information: Please consult the VLM website.